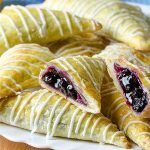 Pumpkin Twists – if you want to make something easy, quick and delicious you are on the right way! 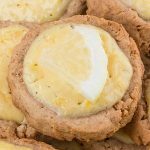 These delicious fall treats only take few minutes to make! 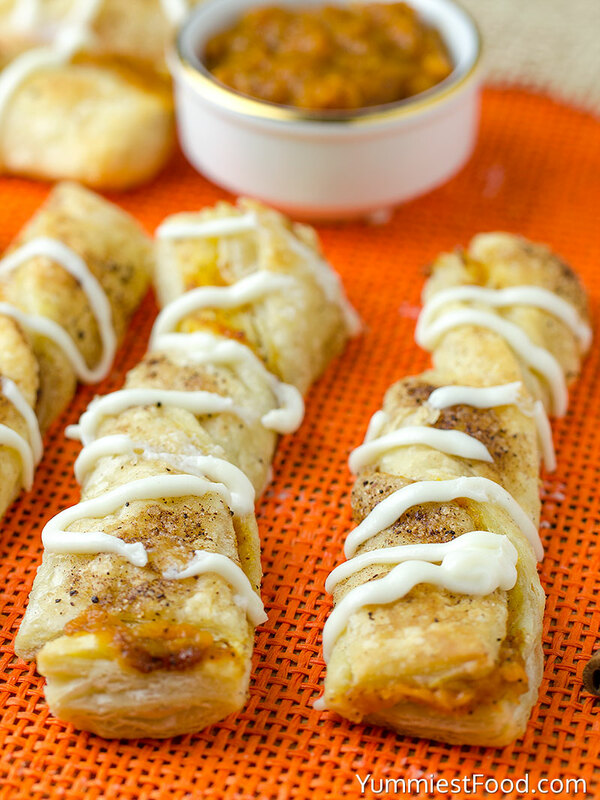 Perfect combination of Pumpkin and Cinnamon and perfect fall dessert – Pumpkin Twists! The queen of fall is definitely pumpkin and I use it very much in my kitchen in this time of the year. 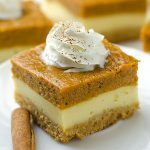 We can use pumpkin in many different combinations so this is the right recipe to prepare for your family and friends. Pumpkin is very healthy and tasty ingredient. It has rare taste and smell but most people like it and especially people who look after about health. Pumpkin is very good choice for people who want to lose weight because it has lots of proteins and fibers. Pumpkin is ingredient which I really like to use in my kitchen. 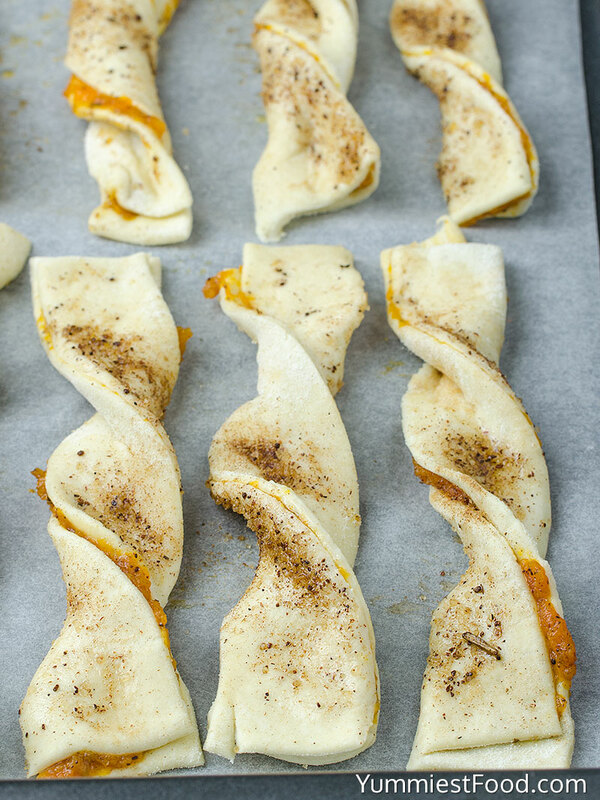 Today, I am sharing with you my favorite fall pumpkin recipe and that is this Pumpkin Twists. 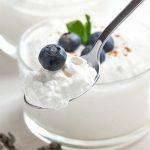 It is so easy and quick to make like many of my recipes. We are busy people and we need something delicious and quick. 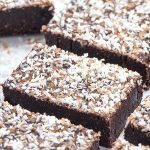 This recipe looks very nice and it tastes like it looks too. I make it really often in my kitchen because my children are crazy about it. Weekend is coming so I really need to make something tasty which everyone like. I like when my kitchen smells on Pumpkin and cinnamon. I like weekends because my family is together. I also like to make experiments in the kitchen but I have found my favorite combination of this recipe long time ago. I am sharing with you one of my favorite combinations. This combination is my favorite because it stays soft and nice even a day after making so that’s why this combination is my favorite. 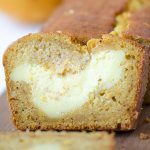 You can make so many delicious Pumpkin recipes which will make magic in your kitchen. This Pumpkin Twists will warm your body and every way you choose you won’t make mistakes because Pumpkins are delicious. This one recipe is nothing like you have seen before. I am not an expert but I am only a person who loves cooking and I really enjoy in it. The simplest things are the best! Enjoy! 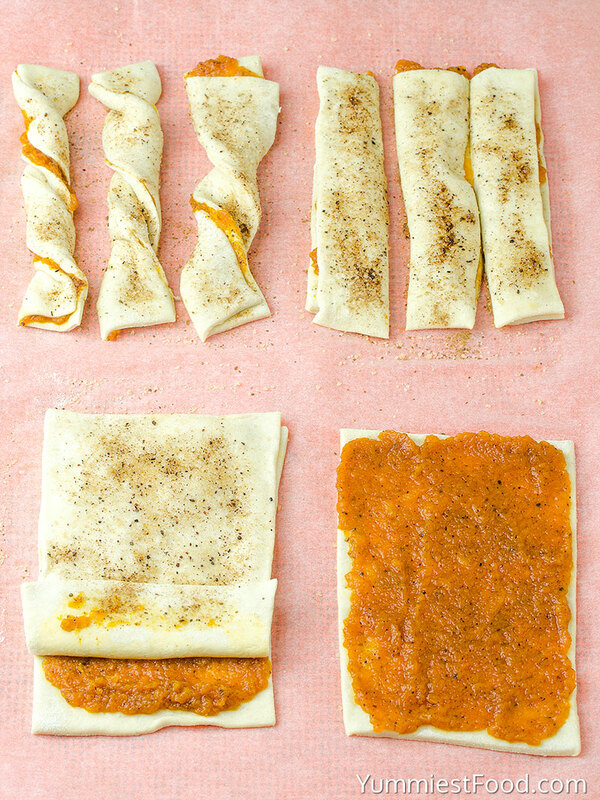 Pumpkin Twists - if you want to make something easy, quick and delicious you are on the right way! 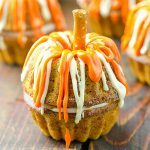 These delicious fall treats only take few minutes to make! 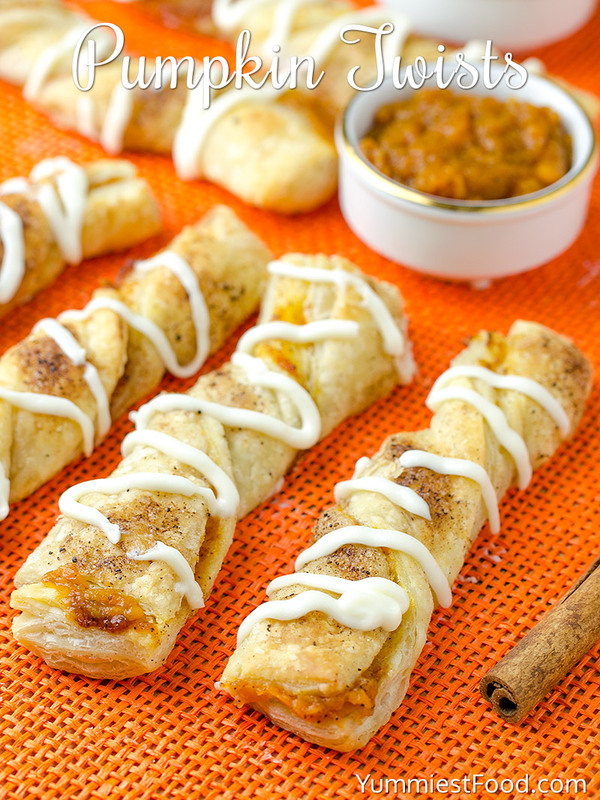 Perfect combination of Pumpkin and Cinnamon and perfect fall dessert - Pumpkin Twists! What brand of pastry sheets were used? I used Pepperidge Farm and they didn’t turn out like I had hoped. Hi Erin, I always use Pepperidge Farm brand frozen puff pastry, it’s the perfect balance of buttery, flaky, and crispy without being greasy. Very simple and quick. Impressive looking. Everyone loves them! Thank you for such a nice comment Amy! Hi Kim, you can get about 12 pumpkin twists from this recipe. Enjoy! 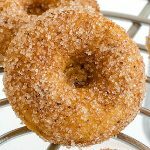 What is pumpkin pie spice? Where do I get it? Hi Wendy, pumpkin pie spice is a blend of 5 spices. There’s cinnamon, ginger, nutmeg, allspice and cloves. Combine 3 tablespoons cinnamon, 2 teaspoons ginger, 2 teaspoons nutmeg, 1 teaspoon allspice and 1 teaspoon cloves in a small bowl and whisk to combine. Transfer to an airtight container. That’s all! Hope that helps! Lidia I am surprised you don’t add sugar to the pumpkin or the spice you sprinkle on top. I’m going to try this, but I might add some sugar.